Based on those kinds of customers requests, VeryPDF developed software VeryPDF PDF Toolbox Command Line which can help you make perfect and special letterhead PDF files. This software aims to handle PDF operations by command line in many kinds of situation. PDF Overlay is just a slice of it. 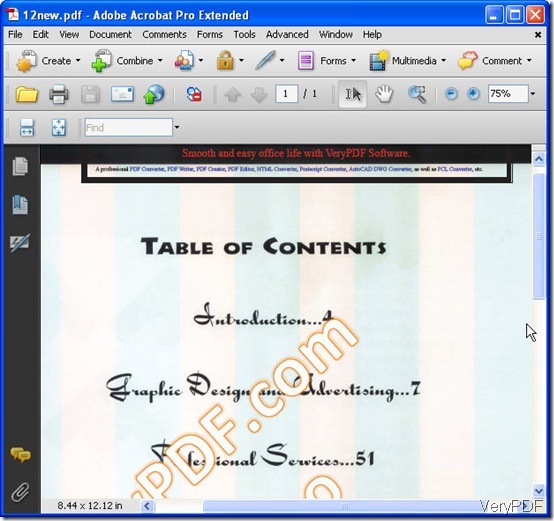 Let us check how to do PDF Overlay from the following examples. Download VeryPDF PDF Toolbox Command Line to your PC. Unzip it then you can all it from MS Dos Windows. To make you understand PDF Overlay easily, let us check one letterhead PDF file in the following snapshot. Now let us check another PDF files which need to do PDF Overlay on the former PDF file from the following snapshot. Now let us check the PDF Overlay effect from the following snapshot. The above is just a sample. If you would like to spend a bit of idea and time on it, you can make some wonderful PDF letterhead documents. Maybe you have a little bit wanna to know how to make it happen? Is that complicated? Is this software expensive? What else functions does this software have? Now maybe you have many question mark lingering in your brain, it does not matter, let us tackle them one by one. 3.outfile : the order to output PDF Overlay files. Now let us check the example command line I used to do the PDF Overlay above. 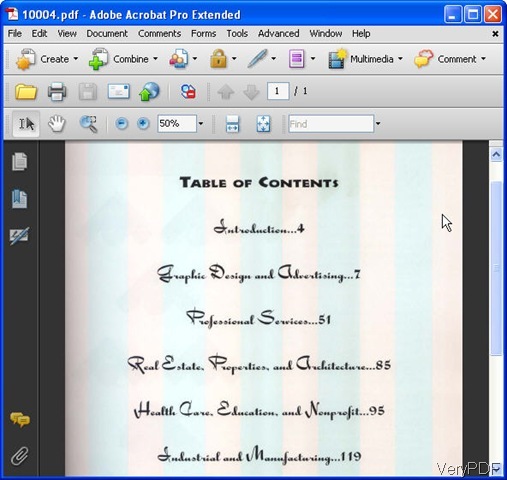 a full version from http://www.verypdf.com/app/pdftoolbox/. As I used the trail version, there are some purchasing reminder and demo watermark. If you use the full function version, all of them will disappear. As to other functions about this software, I can not list all of them here, it is really too many to be listed. Primarily, it can merge, split, encrypt, fill PDF form, edit PDF description information, and optimize PDF. It has many flexible options to implement various functions. The price of this software is $199.00. No matter you are a Widows user, Linux user or Mac user, there is always a right version for you. Please check details on its website, http://www.verypdf.com/app/pdftoolbox/try-and-buy.html. Now I have to call an end for PDF Overlay method showing, if you have any question about file format conversion or PDF Overlay, please feel free to contact us by the ways supported on this website. We will solve your problems do our level best in the first time. How to detach files from PDF? This entry was posted in PDF Toolbox Command Line and tagged PDF Overlay. Bookmark the permalink.